ArthurSchopenhauer " The World as Willand Representation"
THANATOS is an imersive space that seeks for a fragmented perception, in a space where real and the imaginary are the focus of a visual interpretation. 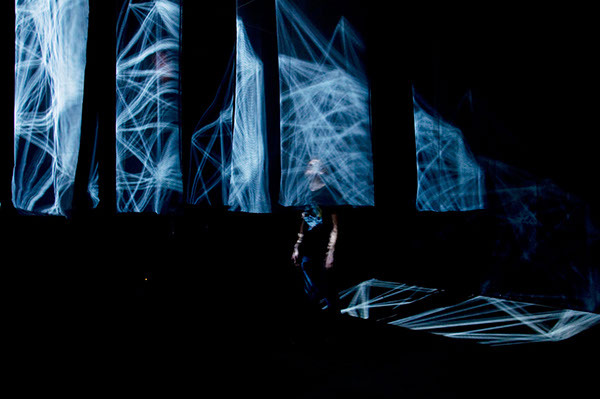 The viewer is invited to enter the space, by the soundthat is been generated in real time. The movement on the instalation willenhance a sorrounding, which refers to the perception of action in space willhave direct consequence in what is shown visualy. 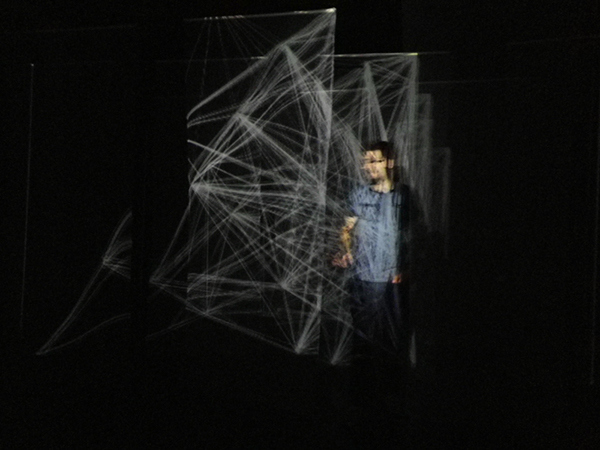 The viewer has an areasurrounded by semi-transparent screens, suggesting a greater contact betweenthe observer and the installation. The main motivations of this project began with a desire to create a space of immersion for to the viewer. 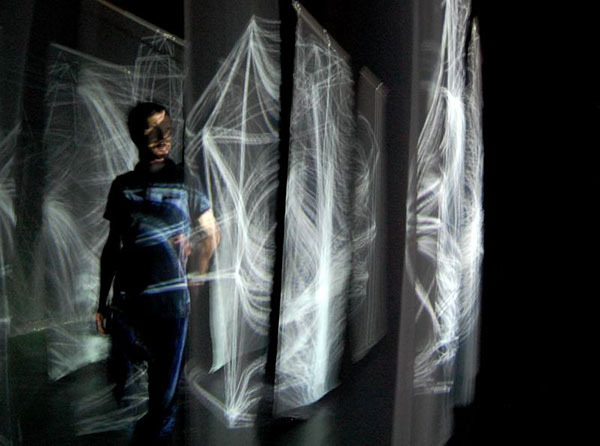 The visual impact and sound becomes an element in the performative aspect that marks a whole rhythm and sequence of messages. Our goal is to seek the involvement of the observer, to the extent that their actions are essential for the development and understanding of the work. The intention is to reveal a reflective reality in conjunction with a space that creates a spontaneity in their distinct shape.The semi-transparent screens are needed to acquire new points of view on whatlies ahead of us.